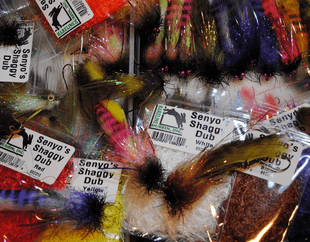 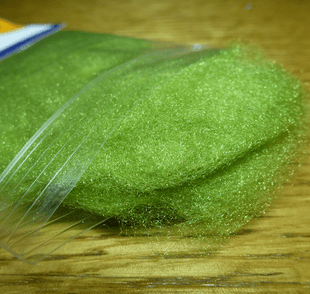 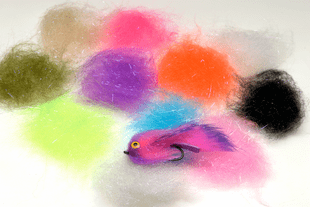 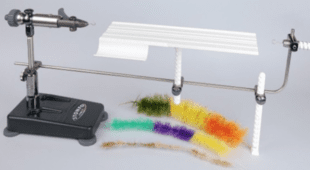 Fly tying Dubbing or dubbin, as some refer to it, is any sort of natural or synthetic fuzzy material that we use to spin or twist around a thread to make a fly body. 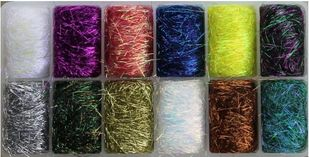 We traditional and synthetic dubbing materials to dazzle the most sophisticated fly tyer. 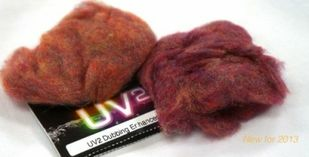 Dubbing: a historical perspectve. 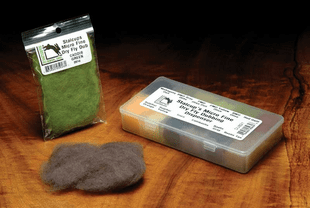 There was a day when our selection of fly tying dubbing was limited to natural materials, especially fur from like muskrat, mole, sheep, beaver, rabbit, otter, and angora goat. 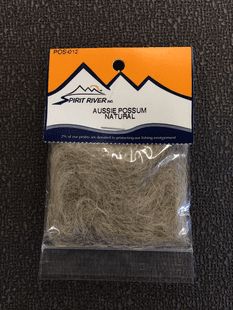 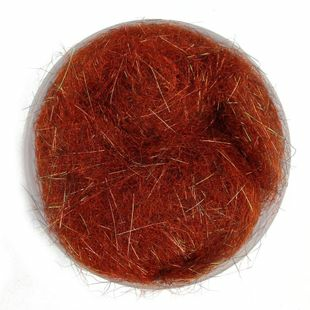 Some of these natural dubbing materials included guard hairs and these tended to produce a texture we fly tyers referred to as �spikey.� Innovative fly tyers like Poly Rosborough were among the pioneers in the art of blending various furs to create dubbing materials hat were not easily hand mixed. 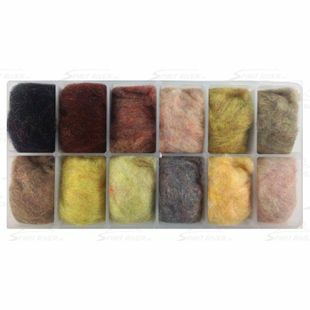 Seal fur became extremely popular with fly tyers, and was a key element in steelhead, salmon, and trout flies for a few decades. 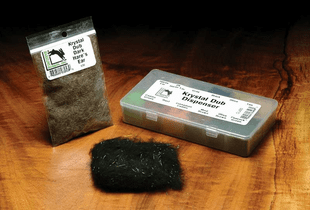 Do you remember the era when we had to shear our own Hare�s masks to make Fly Tying Dubbing for tying Gold Ribbed Hare�s Ear nymph? 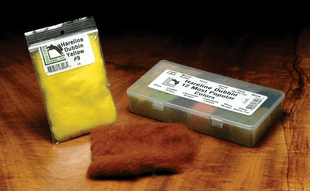 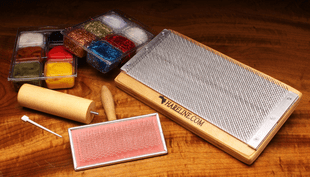 Toay, thanks especially to the crew at Hareline Dubbin, we have a dazzling array of dubbing (dubbin) materials to suit our needs for nymphs, dry flies, lake flies, saltwater flats flies, soft hackles, and steelhead and salmon flies. 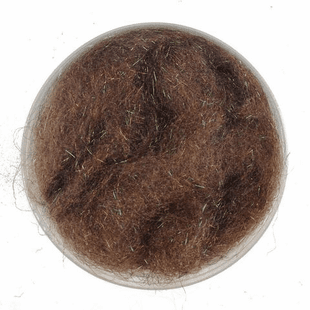 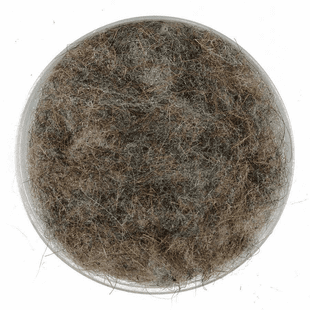 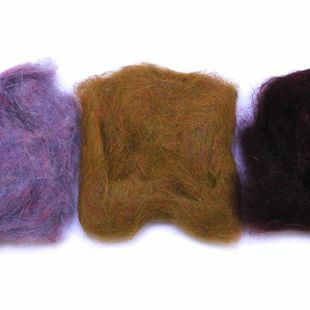 Our current dubbing-material family includes both natural materials like rabbit fur, angora Goat, wool, and possum. 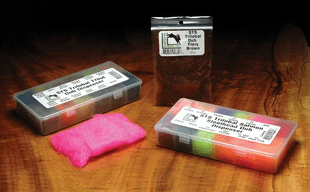 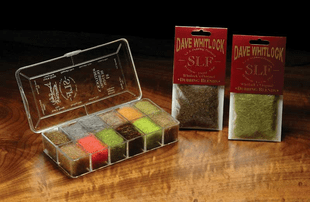 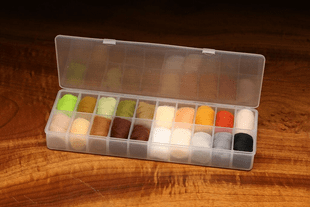 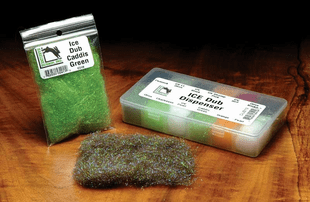 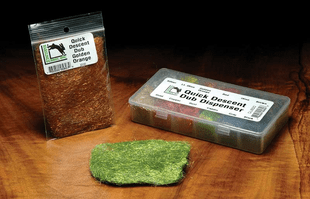 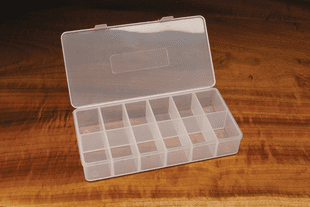 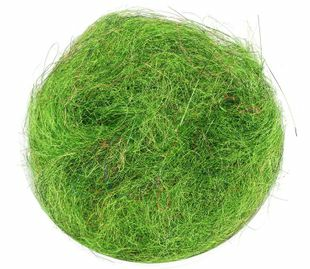 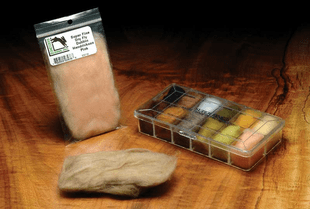 Synthetic fly tying dubbing materials now form the most reliable and delightful of the standard items we stock for our fly benches. 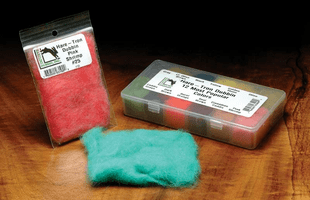 Where would we be, in this day, if not for the wide variety of synthetic fly tying dubbing we have come to take for granted? 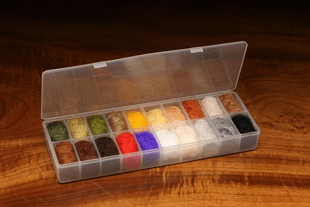 Even the flosses and yarn-like materials and chenilles are typically constructed with some of the same synthetic fibers that we use for fly tying dubbing. 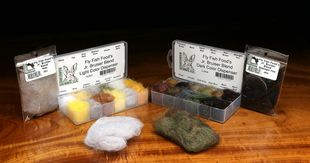 Here are but a few examples of the synthetic fly tying dubbing we have on bench and on the pegs at the Caddis Fly Angling Shop, day-in and day-out. 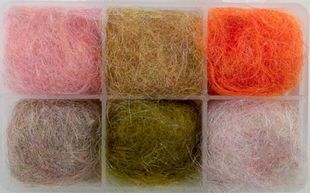 Quick Descent dubbing is actually a high density material that helps nymphs and wet flies sink faster. 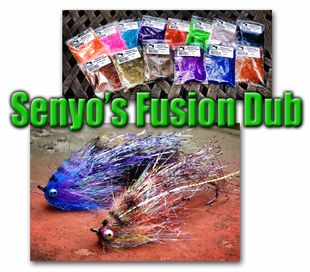 Scud dub dubbing is our choice for scuds, of course. 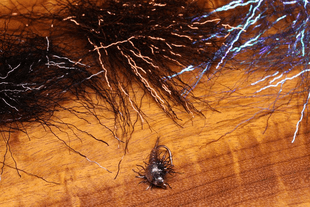 Ice Dub dubbing provides extra sparkle in all fly bodies. 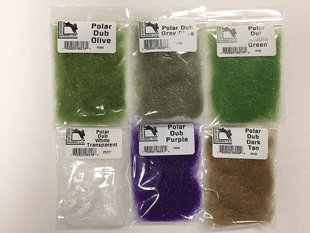 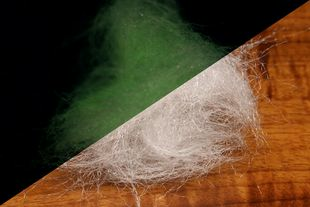 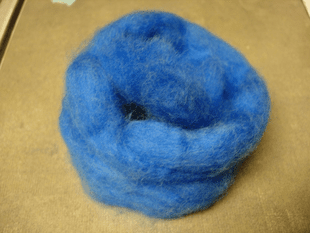 Polar Dub dubbing offers extra sparkle in longer fibers. 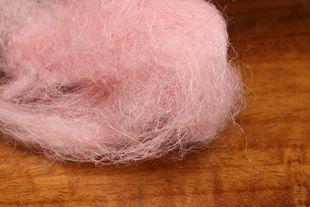 Hare�s ear Plus dubbing is composed of rabbit under fur, guard hairs, and antron to provide sparkle in nymphs, soft hackles, and emergers. 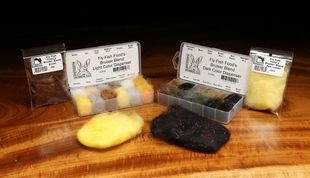 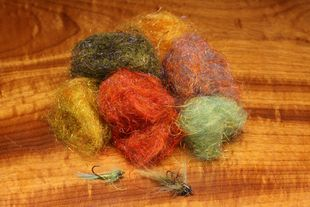 Micro and Super Fine dry fly dubbing is our dubbing of choice for small dry flies. 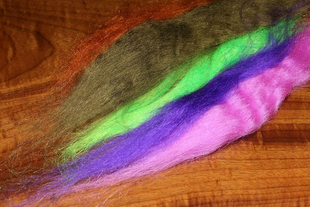 Krystal dub dubbing is a rabbit and Flashabou blend for a touch of sparkle. 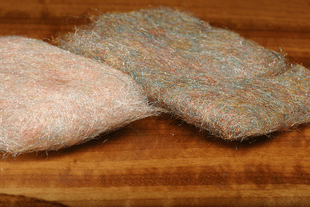 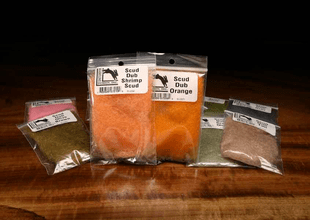 STS, Salmon trout steelhead dubbing is one of the most versatile dubbing materials ever invented, better than seal fur dubbing. 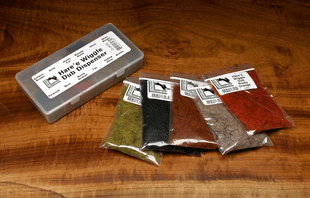 Dubbing Colors? 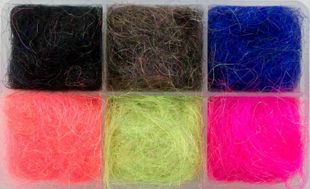 We carry these various dubbing materials in roughly 50 colors all dubbing considered. 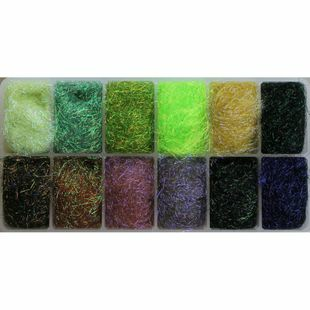 STS Trilobal dubbing is represented by over 30 colors; Hareline dubbin by about 50 colors; Quick Descent dubbing by 14 colors; Angora Goat dubbing by 24 colors; Senyo�s Laser yarn by 14 colors; Custom blend dubbing by 14 colors; and Ice Dub dubbing by close to 50 colors, including several UV hues. 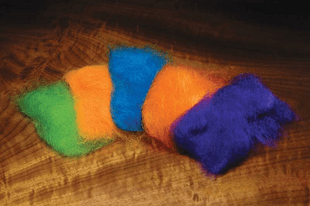 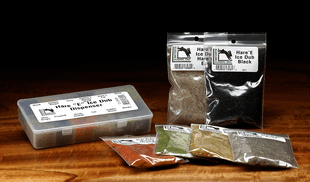 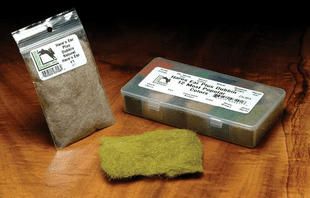 If these Fly Tying Dubbing textures are not sufficient to suit your secret fly tying desires, get to work with a coffee grinder and experiment with mixing colors and textures to create your own passionate dubbing blend. 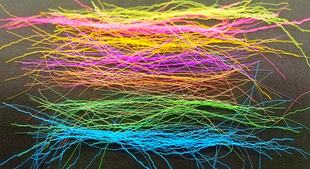 We do this regularly, and have much fun and discovery in the process.